Thanks to all who came to last night’s screening of The Revisionaries at Binghamton University. Despite some technical glitches, the discussion ranged widely from the meanings of science to the purposes of public education. That was certainly not the only reason to view this documentary. It tells the story of the 2010 textbook requirement hearings at the Texas State Board of Education. As the film describes, the influence of the Texas market in defining the nation’s choices in public school textbooks has long been decisive. Conservatives such as Don McLeroy and Cynthia Dunbar battled with folks such as Eugenie Scott of the National Center for Science Education, Ron Wetherington of Southern Methodist University, and Kathy Miller of the Texas Freedom Network. The distrust of “experts” has long been a powerful motivator in American politics and culture, of course. Within the universe of conservative evangelical Protestantism, it has both theological and political taproots. As I note in my 1920s book, the role of experts played a similar role for the first generation of American fundamentalists. But this distrust of experts has also often been taken too glibly at face value as a bald anti-intellectualism. The distrust of experts, as seen by McLeroy’s foes in The Revisionaries, can be interpreted as a dunderheaded insistence that knowledge is a bad thing. But McLeroy and other conservatives have a more complicated position. In fact, McLeroy and his allies cherished the status of experts, even as they claimed to be fighting against them. In the evolution hearings, for instance, conservatives brought in two eminent intelligent-design experts from Seattle’s Discovery Institute. In his presentation to the board, Stephen C. Meyer prominently displayed his expert qualifications, including a PhD from Cambridge University. The Revisionaries is a must-see for anyone interested in issues of cultural contests in America’s schools. For those out there like me who teach college classes in educational foundations or history, ask your library if they will purchase a copy for classroom use. Beyond what I’ve described here, the film includes gems like the awkward conversation between evolutionary anthropologist Ron Wetherington and McLeroy. The two are able to be congenial, but they aren’t able to do more than disagree with one another smilingly. 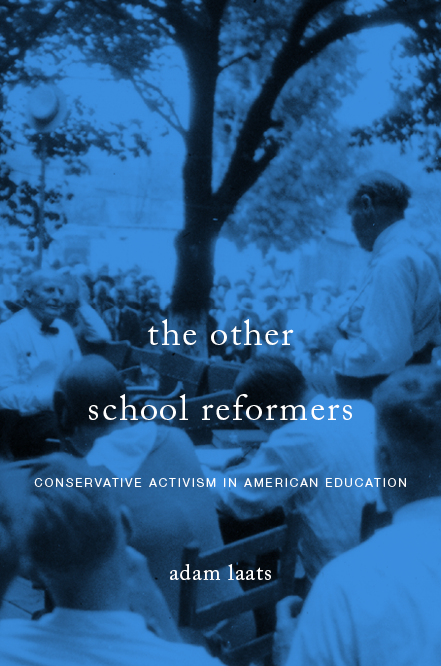 Most intriguing, the documentary demonstrates many of the complicated intellectual traditions of American conservatism, including not least McLeroy’s insistence that he plans to combat the intrusions of experts, even as he relies on his own experts to make his points. Posted in Bible and Prayer in the Classroom, Evolution/Creation, What is school?